Curtis "Wall Street" Carroll, the man who became a financial prophet while in San Quentin, prison after a lifetime of crime. It's amazing how the prison system is set up for the black man especially to fail. More of our men are institutionalized, given a jail education with promises to effectively transition back into society, just to be let down even wanting to change. Curtis Carroll found a way to use his downfall as a major key for a come up. 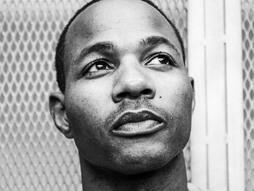 As a young man, he committed a crime that pretty much sentenced him to life in prison with no chance at redemption. While being detained, he found a way to make his past work for his future all while using the time he was given to end his life, he found his form of freedom. Starting with the basics of learning how to read. Carroll had gone by his entire life pretending he knew how to read. Sounding out words, avoiding writing and every other thing he could do to mask a form of education he hadn't found useful living a life of crime. After teaching himself to read starting with small words and building on others he was incredibly enthusiastic, seeing the world around him as new. Even from jail, his excitement grew. Reading every single thing around him. Getting his hands on a newspaper, however, changed everything. Creating a foolproof financial guide, Caroll learned how to not only read the stocks, but he created a system that if followed, can lead a lot of people to a depth of understanding of what making money and having it work for you as easy as simply reading a book. People always say, after a long sentence there is no life after prison, well not if Curtis has his way. After watching the interview between Sway in the morning and Curtis, he has made sure that if they grant him a second chance at life, he will be set to have a true chance at living in his truth. People believe that the choices and decision we make in life are permanent and who you are will be your forever identity. Curtis "Wall Street" Carroll chose to not allow a pattern to be his life, even from prison. He took the talent of knowing money, to learn about money and plans on using his gift to teach others, especially people of color. If successful, Curtis " Wall Street" Carroll will do for many what a lot of us people of color was never taught.....The game of finance. He is a perfect example of what society expects people like him not to be. Once a victim of circumstance, to now productive and positive citizens even in his present situation. Someone once said to me that "life is made up of choices and decisions, and based off of what we chose to decide will determine our outcome, however, the most consistent thing about choices is that they can change". Just like an idea or thought, we have the power to choose what it is that we do, learn from the outcome, and then decide to do something different for better or for worse, but ultimately the decision of your choice depends on you.